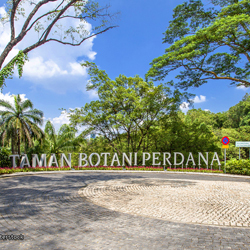 Formerly known as Lake Garden, this botanical garden is part of the green lung of capital city of Malaysia. It was originally planned for recreation purpose but the garden have been converted into a botanical garden through its rehabilitation and upgrade initiatives. A morning birding in this garden will provide good sightings of the urban bird species in Kuala Lumpur.